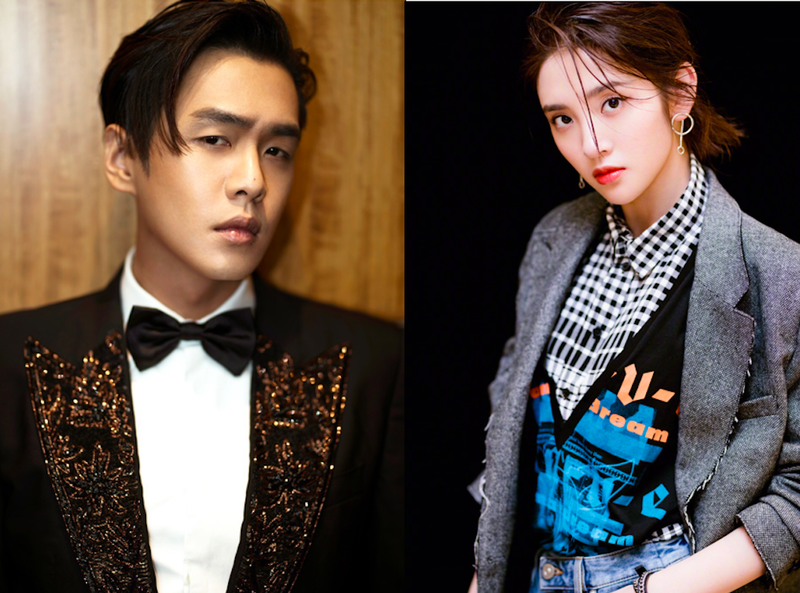 There's been a lot of gossip involving actor Wu Xiubo ever since an actress admitted that she was having an affair with him and claimed that she was just one of many women. Tina Tang Yixin who was rumored to have recently gotten married to longtime boyfriend Zhang Ruoyun found her name being linked to the scandal. Moreover, there were reports that she is also involved with another man, her manager Jia Chuan, as the two have been photographed together many times. The parties involved immediately spoke up to nip the scandal in the bud. 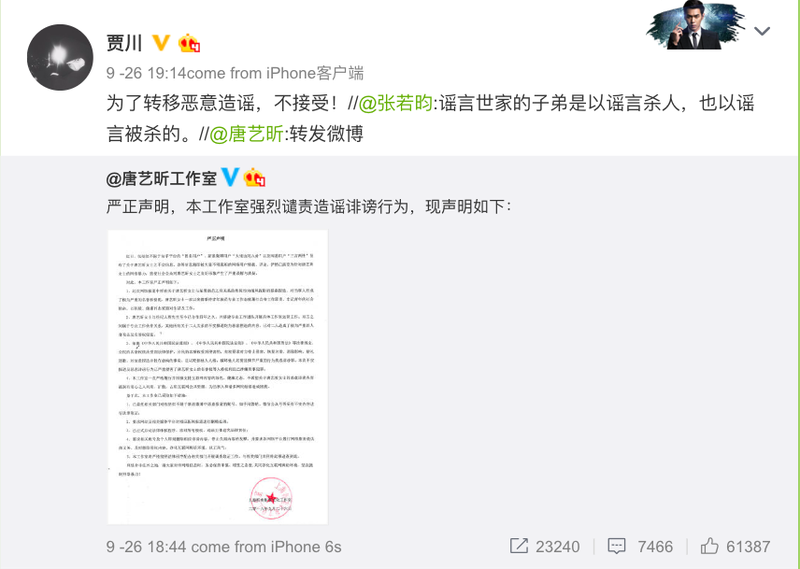 Tang Yixin Studio released a statement to call out the fake news, saying that majority of netizens spreading the news no nothing about the truth. Tang Yixin Studio dismissed the alleged scandal with a certain actor as malicious fabrications. Specific to the rumors with her manager Jia Chuan. Jia Chuan has been Tang Yixin's manager for four years and they have a working relationship. The studio asks to put a stop to the fake news and that legal action will be taken. Tang Yixin reshared the statement on her weibo. Zhang Ruoyun voiced his support by saying that gossipers can kill with gossip. Tang Yixin's manager Jia Chuan also expressed that they do not tolerate malicious rumors. It seems like Wu Xiubo's team is trying to drag Tang Yixin to cover up their scandal. Tang Yixin was trending all over weibo while there was not a single trend regarding Wu Xiubo. He is paying a lot to cover up those trends. I am so glad Zhang Ruoyun came to defend her. It is so obvious that they have a healthy relationship. Good everyone on her, her team and her boyfriend (maybe hubby?) came out strong and dismissed the rumours. Looks like someone was desperately trying to smear her to take the heart of Wu Xiubo. How did her name even get dragged into this anyway? She was part of Advisor Alliance cast. Seems like they’re targeting any of his costars.